It can be hard to be an introvert in our extroverted world. If you're like me, you tend to fib to get out of making weekend plans. "I'm busy," can mean anything from, "I'm sitting on the couch watching Netflix," to "I'm going out to dinner, but will be enjoying my own company." In fact, life can be difficult enough for introverts that many end up pretending to be extroverts just to get through the day, and ultimately exhausting themselves. However, there are some perks that come with being an introvert, especially when it comes to money. 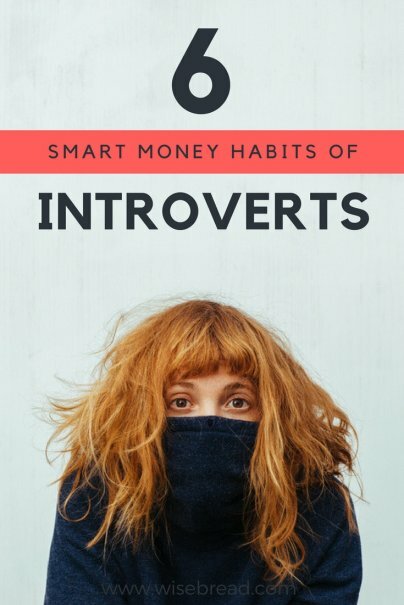 Here are just a few financially great habits introverts tend to possess. It's easy to get carried away in the store. After all, you like that shirt, and that one, and that one, too. And then there's the clearance rack. And oh, look at this cool accessory rack by the register. Why not just buy them all, especially if you promise yourself you'll bring back whatever doesn't fit? Because introverts are more likely to stay home, they're also more likely to avoid the kind of impulse buying that can happen at a store (Target, I'm looking at you).